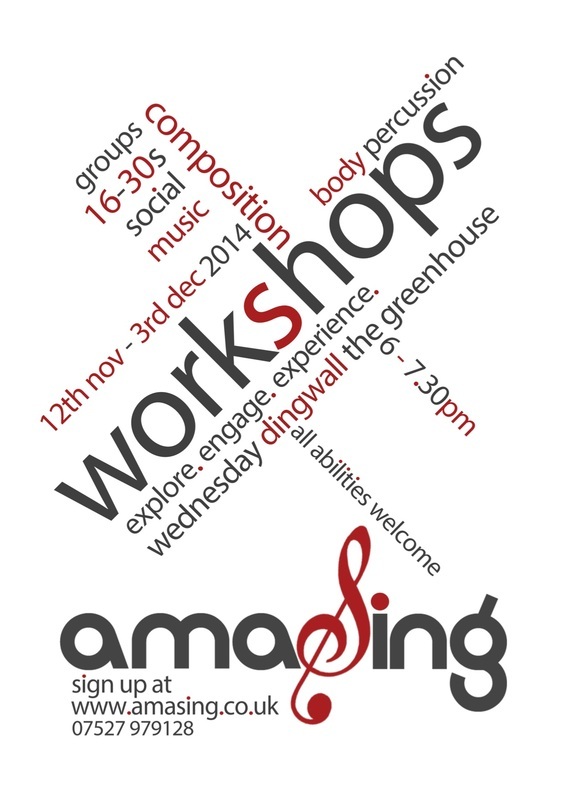 workshops for 16-30s are now finished for the time being. 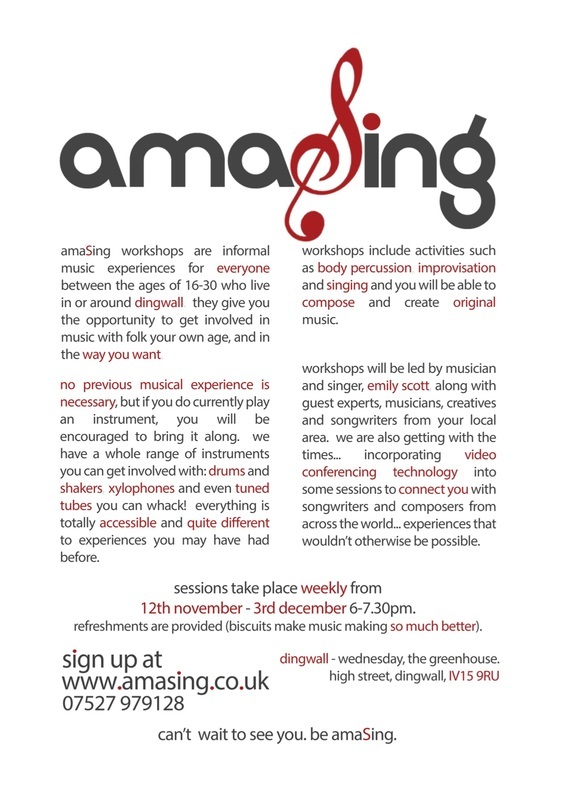 amaSing are delivering workshops in partnership with the nhs and the highland council. for further information, please contact us using the details below. music. body percussion. song. composition. we get young people together to make stuff that sounds good. we learn, innovate, create and compose original music. every wednesday. dingwall. the greenhouse. the only rule is that you're between the ages of 16-30.
whether you sing the house down regularly, or have never chirped before.